BOSTON (Reuters) - A high-stakes shareholder vote at Wells Fargo & Co (WFC.N) next week will determine whether the bank has done enough to retain investor confidence after its phony-account scandal, and whether a leading proxy adviser wields enough clout to help oust most of its board. 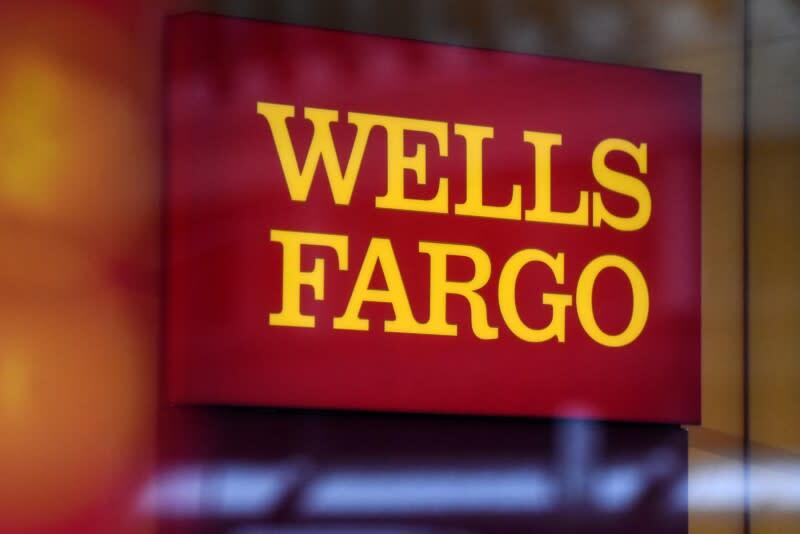 In one of its toughest shareholder notes, Institutional Shareholder Services (ISS) recommended earlier this month that investors vote against 12 of the 15 directors on Wells Fargo's ballot at the company's annual meeting on April 25, including independent chairman Stephen Sanger. ISS argued they had all failed in their oversight duties. The recommendation was another blow to the country's third-largest bank, which has been struggling for months to move past revelations that thousands of employees created as many as 2 million accounts in customers' names without permission to hit lofty sales targets. ISS's recommendation followed one by Glass Lewis, its closest competitor, which recommended votes against six directors for similar reasons. The ball is now in the shareholders' court. A sampling of investors who spoke to Reuters were split on how to vote. It would be extremely unusual for most directors at a company the size of Wells Fargo to turn over suddenly, without pressure from an activist investor, but ISS's scathing review was also rare. According to Proxy Insight, among the 2,780 meetings held by S&P 500 companies since 2012, ISS has recommended votes against 80 percent or more of directors in just seven cases besides Wells Fargo. Each involved a special circumstance, like only a few directors being up for re-election. ISS's Wells Fargo recommendation was "among the harshest that I can recall," said Bruce Goldfarb, president of proxy solicitation firm Okapi Partners. An ISS spokesman declined to comment. Wells Fargo representatives cited an April 7 statement calling the ISS recommendation "extreme and unprecedented." ISS is the largest proxy adviser, with about 1,700 clients versus Glass Lewis's 1,200, and has faced concerns it wields undue influence over corporate elections. On average, directors who ISS recommends "against" receive 17 percent to 18 percent less support, according to consulting firm Semler Brossy. Activists have criticized big fund managers for blindly following ISS. Institutional investors have built up large corporate governance departments in recent years and say they make their own judgments. But breaking with ISS and supporting the whole Wells Fargo board could be difficult for fund firms, said Michael Goldstein, a Babson College finance professor. "This may be one of those cases where you don't want to have to answer a lot of questions about why did you support these people," Goldstein said. If shareholders do vote against some of Wells Fargo's directors, it does not mean they will immediately leave. The bank's guidelines require directors offer to resign if they fail to receive a majority of votes cast, but leaves the board wiggle room in deciding whether to accept a resignation. In other cases with fewer directors at risk, shareholder sentiment mattered. Some of JPMorgan Chase & Co's (JPM.N) directors resigned in 2013 when they won only narrow majorities after the "London Whale" trading scandal. Directors who fail to win majorities are in an even weaker position buy may not leave right away. For instance, two Chesapeake Energy Corp (CHK.N) directors received less than 30 percent support at its annual meeting in mid-2012 and offered to resign. The board accepted the resignation of one director two weeks later and did not accept the resignation of the other until the following March. Wells Fargo's board and management have said the steps taken to fix problems and punish employees responsible for sales abuses show there is now strong oversight, and that directors nominated deserve to be elected. In an interview with Bloomberg TV on Wednesday, Wells Fargo Chief Executive Tim Sloan said ousting most of the board would be "crazy." The San Francisco-based bank paid $190 million in a September regulatory settlement for the unauthorized accounts, igniting a public firestorm that hammered its shares and led to the resignation of then-Chairman and CEO John Stumpf. Since then, Sloan replaced Stumpf, and Sanger became the independent chairman. The board took steps like eliminating sales goals, revamping its compensation structure and withholding or clawing back tens of millions of dollars of bonuses. Shareholders interviewed in recent days voiced a range of views about whether Wells Fargo's board needs an overhaul. Top investor Berkshire Hathaway Inc (BRKa.N) has already voted in favor of the board. Other big shareholders, including State Street Corp (STT.N) and Vanguard Group declined to comment or did not respond to questions. Rhode Island Treasurer Seth Magaziner, who oversees funds that own Wells Fargo shares, said they will vote against directors flagged by ISS. "Directors are meant to be agents for the shareholders, and watchdogs for the investors," he said. "Clearly that level of oversight was lacking at Wells Fargo." Others were supportive. Gideon Bernstein, partner at wealth management firm Leisure Capital, said he plans to back the board. He was impressed with the bank's April 10 report describing what went wrong, and actions taken in response. "The board has done a really good job drilling down," he said. Thomas Russo, managing member at Gardner, Russo & Gardner, said he has not yet decided how to vote. He wants to see a smaller board with more banking experience. "There's an elevated sense of urgency in a smaller board and a board that has more specific knowledge," he said. Executives at American Century Investments also have not yet decided. Senior investment analyst Adam Krenn said the bank's oversight and initial response was lacking. But portfolio manager Michael Liss praised the eventual response. "Even though they were late in reacting, they certainly came down strong," he said.